From the J Street bridge to the Rock Shop and JCFD-JCEMS study, projects moving forward. During a joint 45-minute meeting of the Jefferson County Commission and the Madras City Council on Jan. 23, the two boards clicked through a list of updates. 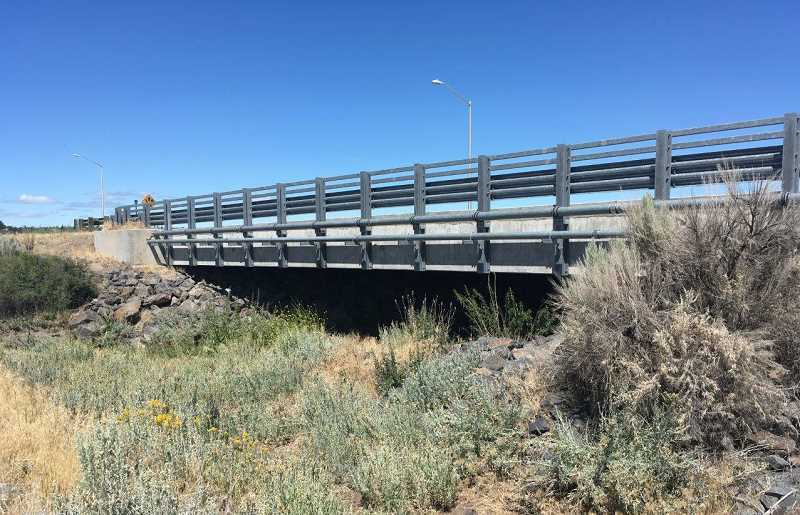 To mitigate the possibility of a flood along J Street, at the Willow Creek bridge, City Administrator Gus Burril said the city plans to extend the 80-foot bridge to the west, opening up another 160 feet. "It opens the floodway and flood plain to flow more naturally," he explained. The city had been considering several options, including building a levy to hold back water. "We were encouraged to stay away from a levy," he said, noting that it would be costly to build, and would require post-construction inspection and reporting." As part of the analysis, the consultants, MurraySmith, recommended raising and expanding the bridge, located just north of the South Wastewater Treatment Plant. The expansion will require the city to acquire property to revise the walking path. The city is in the process of purchasing five lots from the federal government that include the three parcels around the old Rock Shop, and two other nearby parcels. An environmental assessment of the shop found that there are materials in the shop that will need to be removed, including appliances, clothing and woody debris, before the shop itself can be removed. When that is completed, Burril said, "We're coordinating with the power company and the fire department to do a 'burn to learn.'" "It's taking a little bit of time to work through some of the steps," which are required by the Oregon Department of Environmental Quality, in order to be eligible for funds, Burril said. In March 2018, the county, city and the Jefferson County Fire Department commissioned a study on the potential of a merger between the fire department and Jefferson County Emergency Medical Services. The merger became more of a plan in September, when all four organizations met after reviewing the draft plan, and submitted comments back to the consultant, Matrix Consulting Group. On Jan. 10, County Administrator Jeff Rasmussen said that they had received the final draft, and subsequently met and submitted additional comments on Jan. 15. "The timeline is close," said Rasmussen, who anticipates a town hall-type presentation for the community on the final report, after which the organizations will do an annexation study to see what a combined district would look like. The Bel Air and Herzberg Heights sewer extension project, funded primarily by a $1.115 million loan from the Oregon Department of Environmental Quality, was completed in November, and now has 15 completed hookups, out of a total of 69 eligible properties. Another eight properties are in the process of hooking up. Residents who want to hook up to city sewer have until early May to take advantage of a fee reduction, $2,644.50, rather than the full system development charge of $5,289, plus a sewer connection permit fee. "It's a nice renovation," said Burril, noting that the old roads in the neighborhood were repaired and repaved. "That neighborhood is good for another 30 years."